Through encouragement and guidance of professions and interaction with others, the girls will gain confidence, self-esteem and self-awareness while having fun exploring music, voice, dance fashion, drama and story telling. 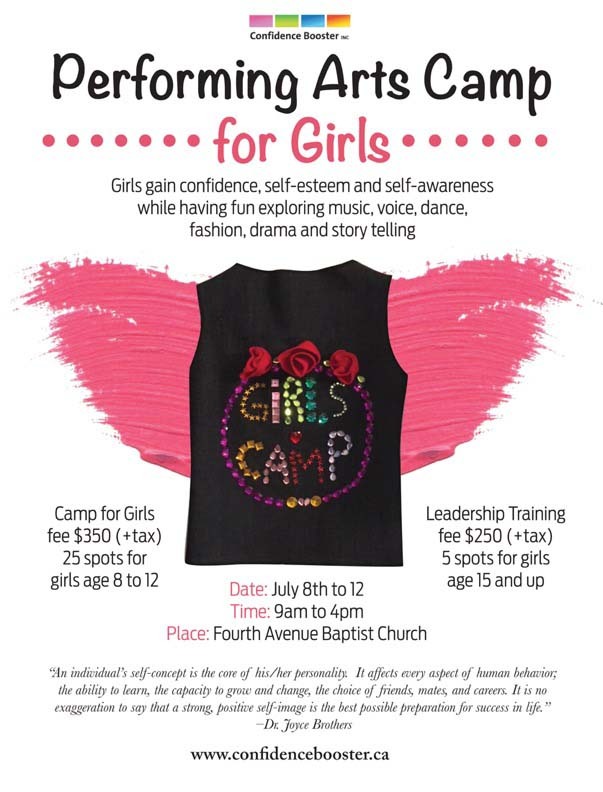 For five days the girls will explore and discover their own unique gifts and talents in a positive and encouraging atmosphere. A NEW component of the camp this year is training young girls to be affective and encouraging leaders; to lead by example.